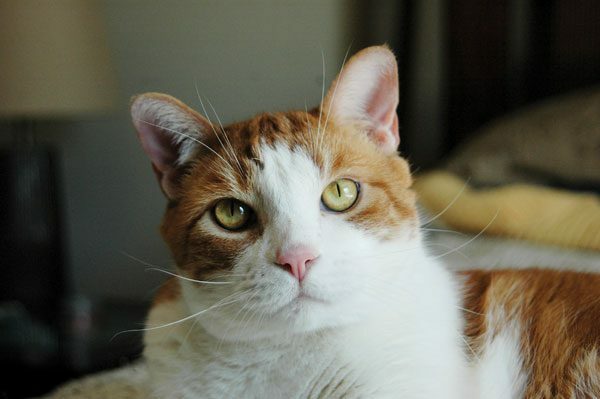 The editors of Catster Magazine’s print edition are always on the lookout for great photos from readers. The ones below are the first set of those chosen for the March/April 2017 issue. (Look later this week for the second set.) Scroll to the end of this post where you’ll find instructions for submitting your photos. You’ll have a chance for them to appear in a future Photo Booth Gallery. 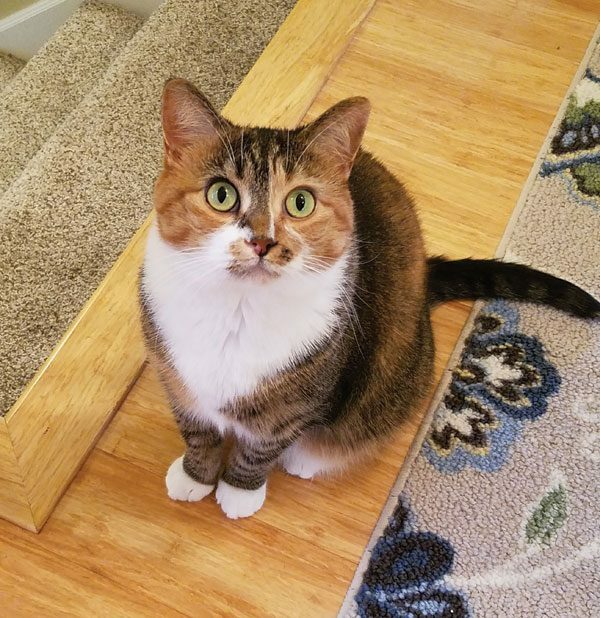 First up is Tabby, sent by Anna Robinson, giving an inquisitive look at the top of the stairs. 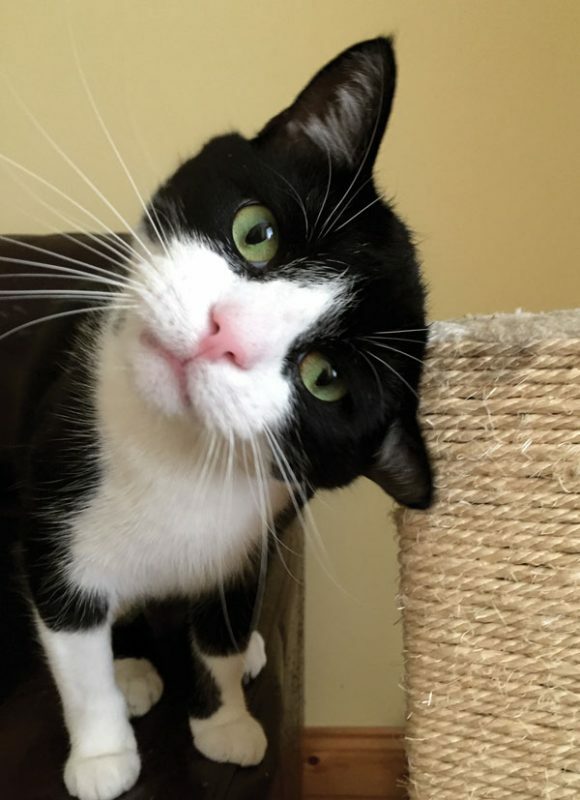 Next is Jonah, sent by Finola O’Leary, giving his own style of questioning look with the help of a scratching post. 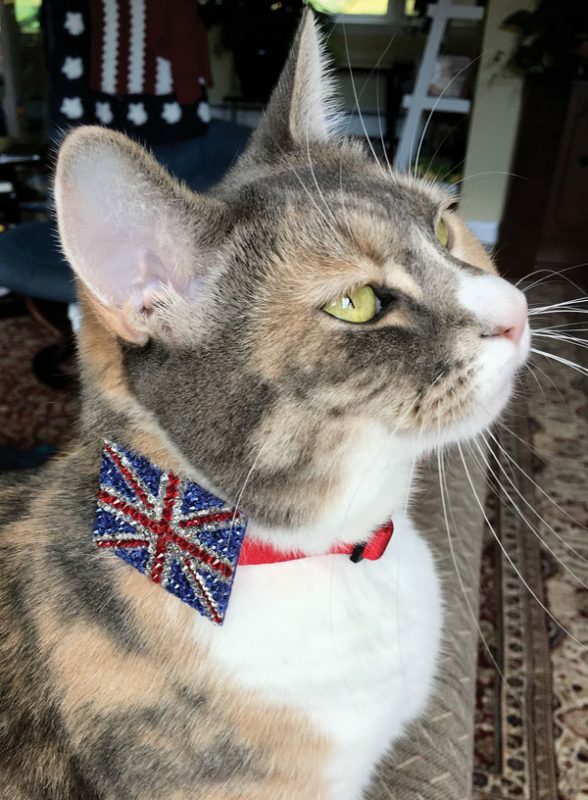 Jennie Jerome, meanwhile, shows her British style with a Union Jack on her collar. (Thanks, Diane Parry, for the image). 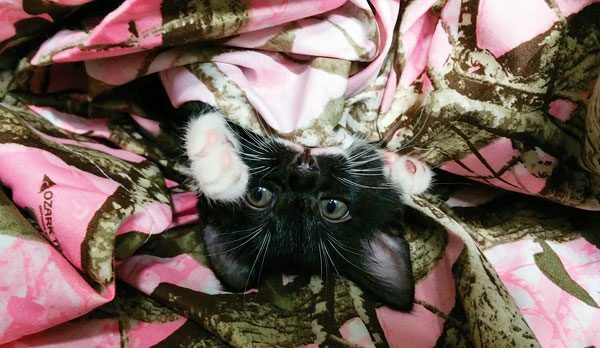 Next is Ollie, sent by Melanie Jasper, who blends into a pink blanket despite tuxie coloring. Finally we have O’Malley, giving a rather serious stare that might suggest dinner is overdue.